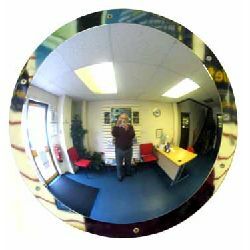 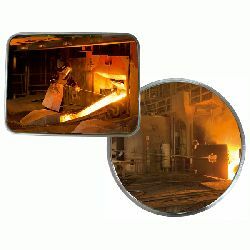 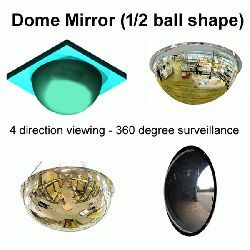 Improve safety at your warehouse or industrial site by installing our industrial and warehouse mirrors. 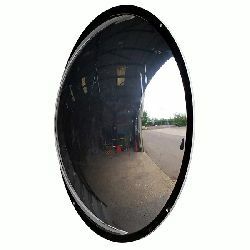 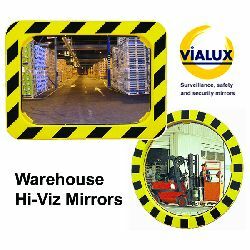 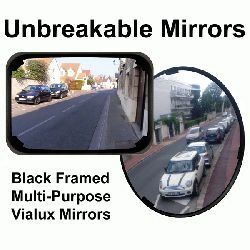 These high visibility, unbreakable mirrors, feature a robust black and yellow frame, and will make your warehouse / industrial unit a safer place to work, as well as helping you to eliminate the potential high cost of repairs or compensation arising from internal collisions, accidents or even injuries. 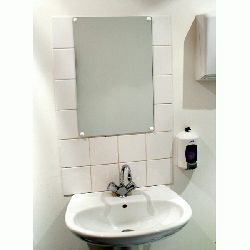 All units are suitable for internal or outdoor use and are supplied with fixings and robust universal fixing brackets. 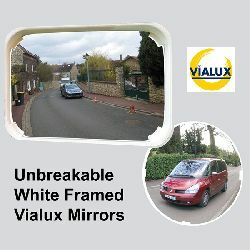 Visit our Mirror Information Page for comprehensive mirror information and advice. 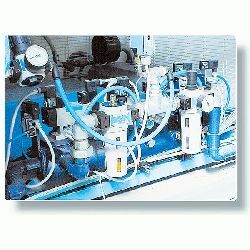 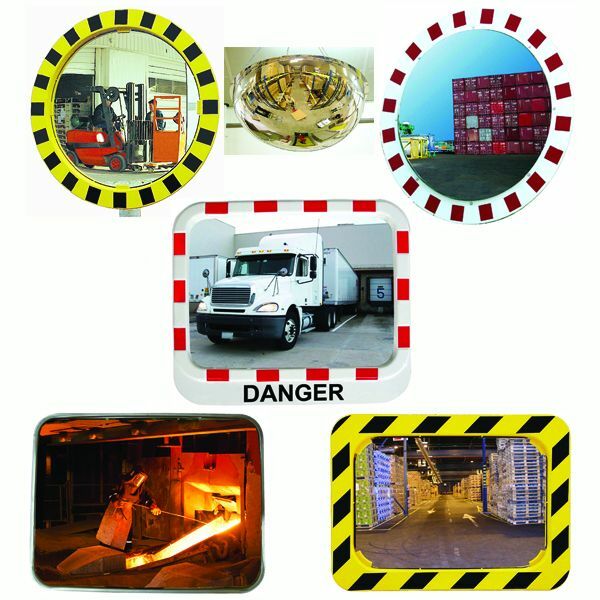 Industrial units, factories and warehouses can be hazardous environments. 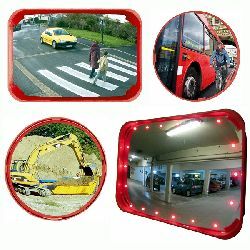 There may be people on foot and others who are operating fork-lift trucks. 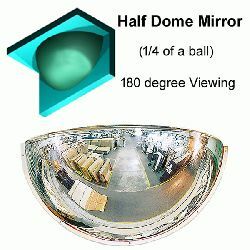 They may be carrying heavy, cumbersome loads and they may need to negotiate tight aisles between racks of shelving which obscure their view. 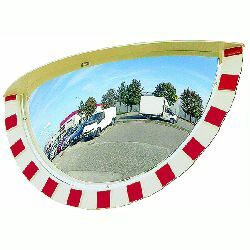 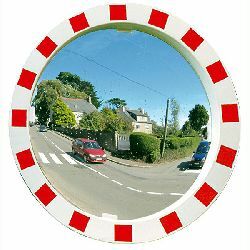 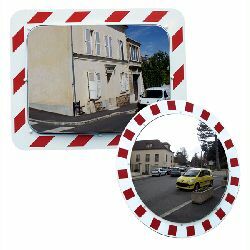 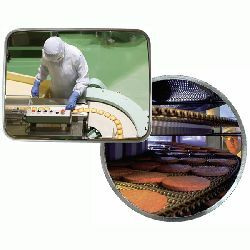 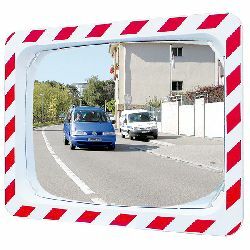 Carefully selected and installed industrial mirrors will provide a wide angle range of vision which can help to avoid accidents at intersections and blind corners. 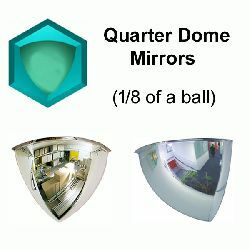 They are easy to install, simple to use and offer a very low cost way to improve safety and security for everyone working at or visiting your premises.